This post is the first in our reviews for Honeywell air purifier solutions. Here, we cover the Honeywell Air Touch Air Purifier. Honeywell is a major commercial and consumer products manufacturing and engineering American company. Honeywell, is best known for its innovation driven wide consortium of products. Its a trusted brand name all over the world. Needless to say, a company which invests heavily on R&D and is a Fortune 100 company would not compromise in quality. The Honeywell Air Purifier catalog comprises of Air Touch, Honeywell Lite Indoor Air Purifier, Air Touch P and Air Touch S models for homes. 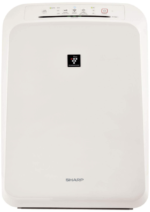 In this post we discuss the Honeywell Air Touch Air Purifier – HAC35M1101G. In our previous post a model Honeywell Air Touch P with higher cost and coverage is discussed. All Honeywell Air purifiers use the patented HiSiv technology. Nice pleasant colors with clean and elegant looks are worth mentioning. 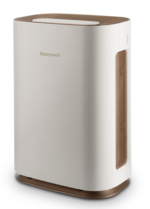 With a host of user-friendly features cherry-topped with advanced technology and affordable cost, the Honeywell Air Touch HAC35M1101G air purifier is definitely worth a serious consideration. 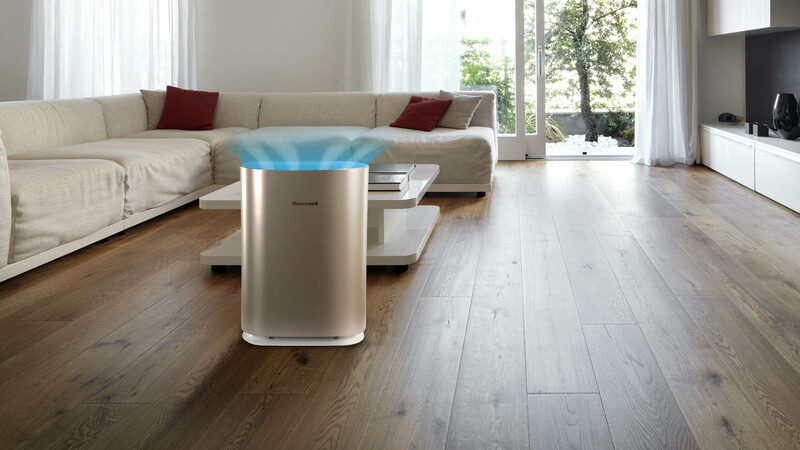 The Philips AC4072 and the Panasonic F-PXH55MWU air purifiers are its closest competitors in terms of CADR, cost and coverage area. 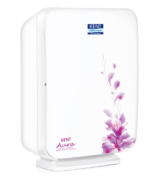 The Honeywell Air Touch Air purifier boasts of award winning aesthetic design with light color combination. It is available in Champagne Gold and Classic white colors. It is the winner of Silver A Design Award. Its Anti-fall base design protects the machine from accidental fall due to a nudge or a push. 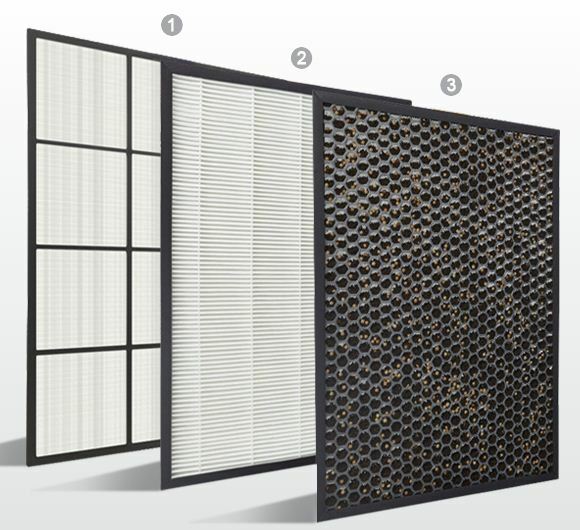 The filters are hidden from view which helps protect coming in direct contact with the filters and pollutants captured inside it. The body is shimmery and made of Poly-carbonate body-ABS material for premium finish and durability. An air purifier is of no use if it doesn’t clean the room’s air up to the high standards that they advertise. So, an air purifier’s performance should be the only decisive factor and looks etc should be the secondary criteria. Fortunately, user reviews point out that the Honeywell Air Touch HAC35M1101G air purifier scores big. User Ratings average about 4.2/5 which is pretty good. You can read the reviews on Amazon and Flipkart. 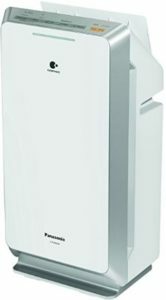 The Philips AC3256 Air Purifier is strongly recommended with better features but a little more price. 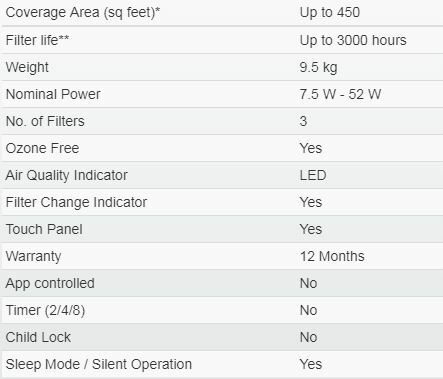 The Honeywell Air Touch air purifier has a decent area coverage of 450 sq.ft. This is sufficient for even the largest rooms(but with certain riders). 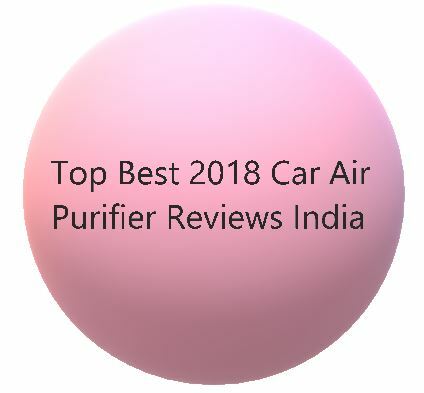 An important number which you should look for most diligently when buying an air purifier is the CADR(Clean Air Delivery Rate). CADR in simple terms is a measure of the efficiency of a filter to remove a particular type of particle from surrounding air. Be it smoke,pollen or dust- a filter has separate CADR ratings for the three. Generally, only the CADR(smoke) is mentioned. The CADR ratings depend on a variety of factors ranging from fan speed, surroundings, type and size of particles, size etc. 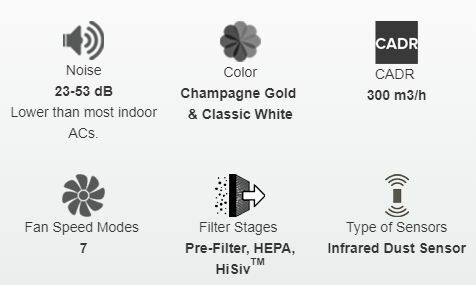 The Honeywell Air Touch Air purifiers have three sets of filters as indicated in the above image. All the filters are DIY (Do It Yourself). There is no need to call service engineer for normal upkeep and maintenance. 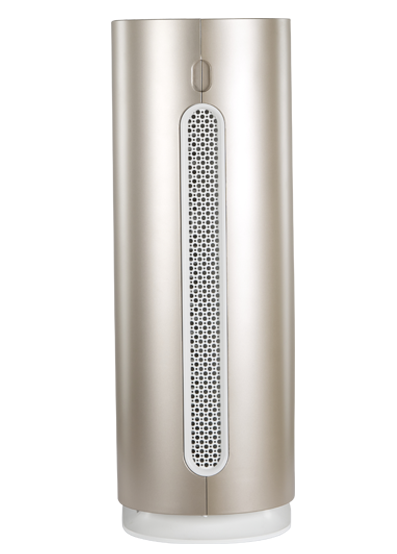 The Honeywell Air Touch Air Purifier has a Tri-LED Air Quality Indicator mechanism. Depending on the impurities present, the LEDs change color. The LED displays colors Blue, Yellow (amber) and Red. This model does not have any APP or WiFi connectivity. The LEDs light up and the color is visible from 360°. When the Air Purifier is powered on, its LEDs display Amber color till the time it is sensing the pollution levels. If the air is clean it glows Blue LED else Red. The Air Purifier throws out purified air from the top vents near the control panel. The air inlets are on the two sides and near the base. The net suction of the powerful fan is such that it pulls air from all directions. 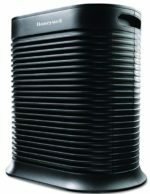 Honeywell Air Purifiers do not throw out the air vertically up. Rather, air is expelled at an angle of 15°-20° for optimum circulation. Its a unique and useful feature incorporated in the Honeywell Air Touch model. 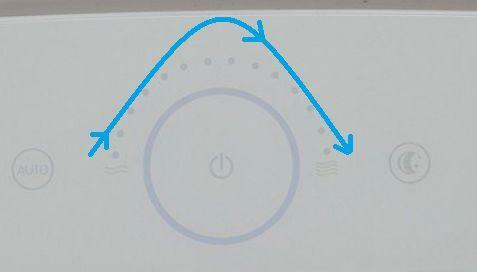 Just slide your finger till the dot you want the fan speed to be. There are 14 dots on the control panel and hence 14 speed levels. There is no timer functionality which is a shame. With an air purifier of this cost, it should be definitely there. Even air purifier as cheap as 9,000 have atleast 2/4/8 hour timers. Another shame is the absence of child lock feature which is pretty basic. It seems Honeywell was a bit lost while calibrating the feature set. The Honeywell Air Purifier works exceedingly well in terms of air purification. There are some Cons though. The first being the absence of timer. The second drawback is the absence of Child Lock. The third feature we missed is absence of any real-time air quality display. 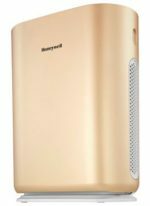 A way better option would be to go for Honeywell Air Touch i8 Air Purifier. The Air Touch i8 has a real-time PM2.5 display, a timer and a child lock; all the features we missed in the Air Touch model. The Air Touch i8 is lighter and a newer model from Honeywell. 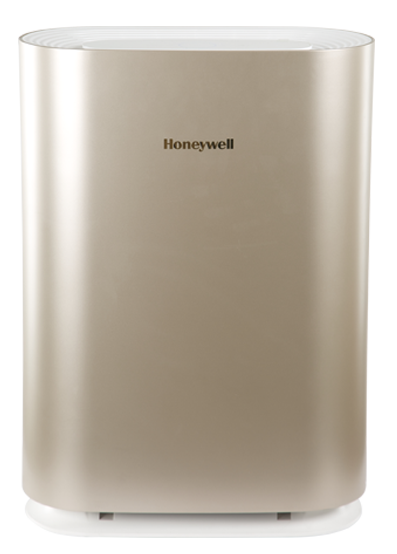 With hardly any difference in cost or purification ability, we would suggest you to go for Honeywell Air Touch i8!